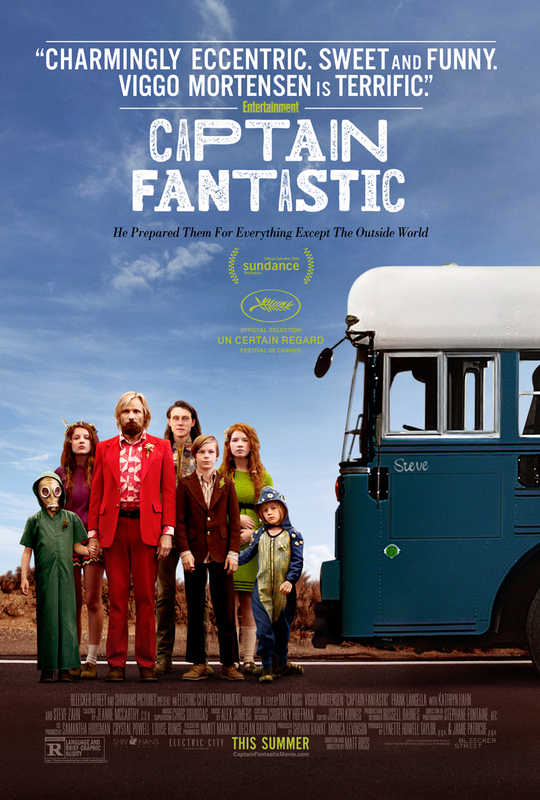 CAPTAIN FANTASTIC: is now in theaters everywhere! CAPTAIN FANTASTIC: Deep in the forests of the Pacific Northwest, isolated from society, a devoted father (Viggo Mortensen) dedicates his life to transforming his six young children into extraordinary adults. But when a tragedy strikes the family, they are forced to leave this self-created paradise and begin a journey into the outside world that challenges his idea of what it means to be a parent and brings into question everything he's taught them. (BLEECKER STREET) This film is rated R.
My husband and I got to see this movie last week and we both really liked it. I'll admit, based on the trailer, it's not a movie we would've wanted to see. But after watching it, we both really enjoyed it. Viggo Mortensen plays a wonderful part. He keeps his children 'off the grid' and has different ways of teaching them and helping them learn. They are very intelligent kids but are a blocked off from the outside world. Once they get a taste of it, Viggo questions his way of raising his children.